I love this sport, and yes, love is a strong word. 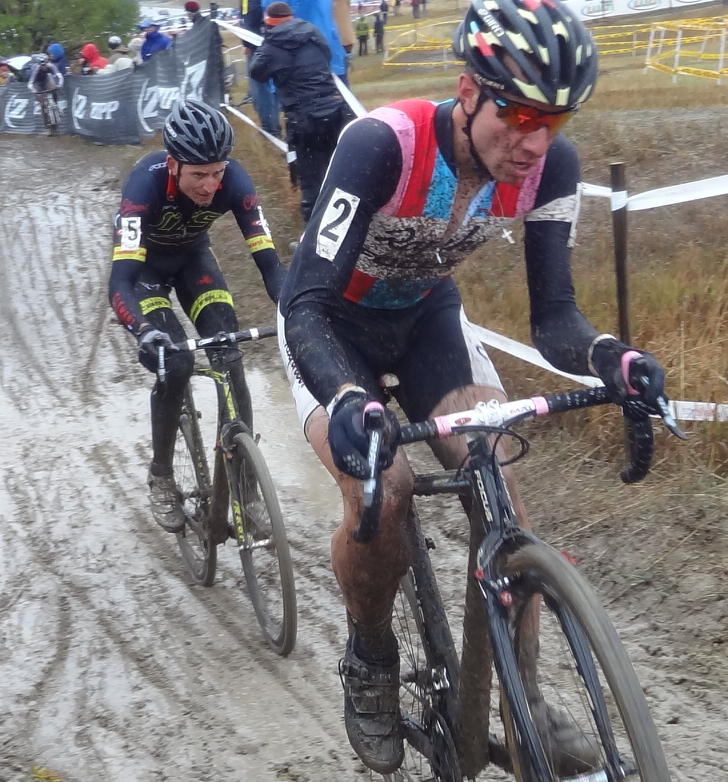 But cyclocross is growing and developing in ways in which there is no wrong to this sport, just enjoyment, excellent racing, and a lot of effort. Unless you are a fan of course, where effort mostly involves dressing appropriately (for weather, appropriate fashion is actually discouraged), and leaving a chunk of time to watch race after race, because you will not want to leave the fun. As frozen and cold as you might be, and struggling to juggle a beer and a camera and heckle at the top of your lungs, you'll have a blast because cyclocross is a real spectator sport. A few weeks ago, my cycling buddies asked me if I was going to compu-trainer class at 8:00am on the following Saturday morning, aghast I replied, "No! Are you kidding me - it's States tomorrow!" Now keep in mind, I don't race, but I mark my calendar with the best cyclcross races of the season in Colorado as if I needed to peak for them myself. 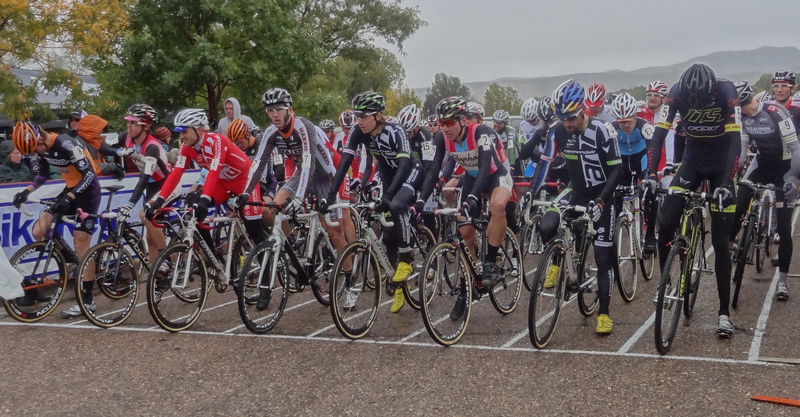 In fact after witnessing the fun at Cross Vegas this past September in Las Vegas, I think that cross racing might be worth journeying to just as I journey to the Grand Tours. Stage Races - great fun to watch in a beautiful setting with enthusiastic fans before, during, and after the race. Even if the riders "look so much bigger on TV and fly by within 20 seconds". 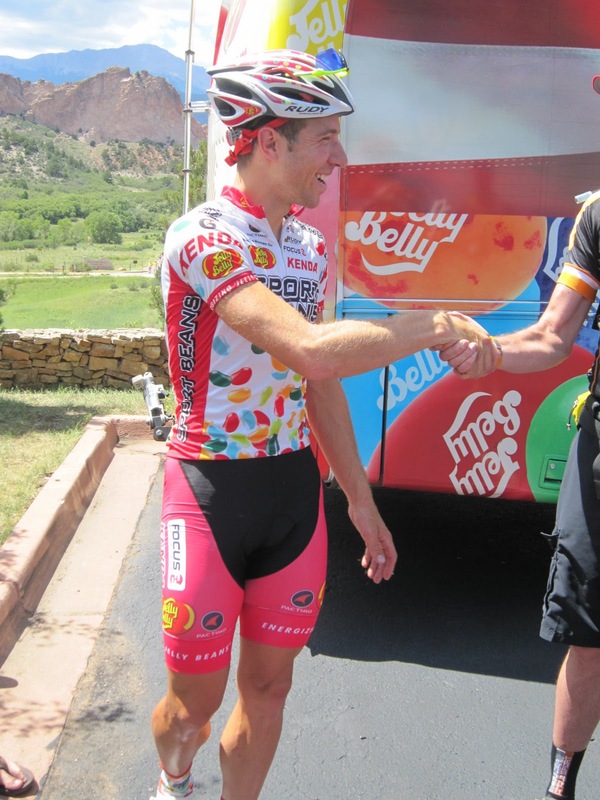 The travel is fun, the riders appreciative and accessible, and the history long. 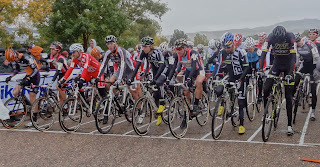 Criteriums - okay if you enjoy watching the same 100 riders zoom by in a blur of 10 laps around city blocks, where you are lucky to pick out 2 riders per lap, and have lots of free time on the weekends. There is a reason why girlfriends and wives are scarce at Crit races, but the races are fun to attend to say hi to friends. Mountain Bike races - you might as well just go ride your bike yourself. 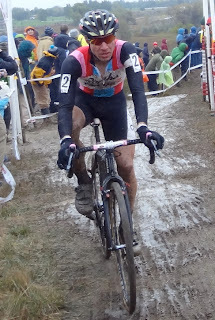 Cyclo-cross races - you are absolutely discouraged to stand along the barriers with a serious face thinking that the race is only about who wins. You need a cowbell, a crazy hat, a number of beers, a loud voice, and a good sense of humor. Worth every bit of your time if you are willing to let go and have some fun. "Hup hup buttercup, you're not that old yet!" I am in cyclo-cross withdrawals, I need to go heckle some snowboarders on the half pipe. 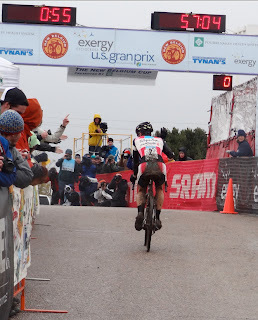 For now, 303Cycling routed me to this video by CyclingDirt (including grand gestures) recapping the USA Cyclo-cross National Championships which took place this past weekend in Madison, WI. I can't help but wish that the Gregory Brothers would songify this guy in the video. 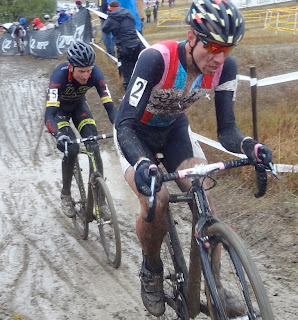 CyclingDirt could take a cyclo-cross video viral. View full race results if you wish. 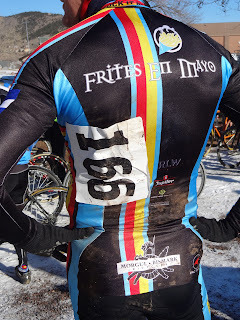 I had a great time this past Sunday watching (when I wasn't talking) the race at a party organized by my favorite local CX racing team Frites en Mayo Velo Club. They gathered folks together at their new sponsor Wynkoop Brewery's downtown Denver location to watch the championship race in Wisconsin streaming live on the big screen. 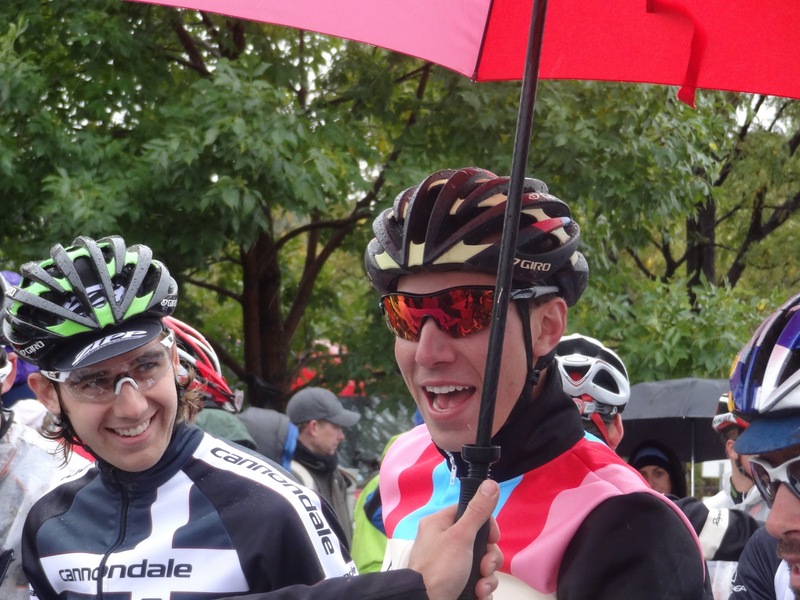 What a great way to get cyclists together who normally only see each other out racing in the mud and cold. U.S. National Cyclocross Championship 2012 (Elite Men) from In The Crosshairs on Vimeo. Worlds is still to come. 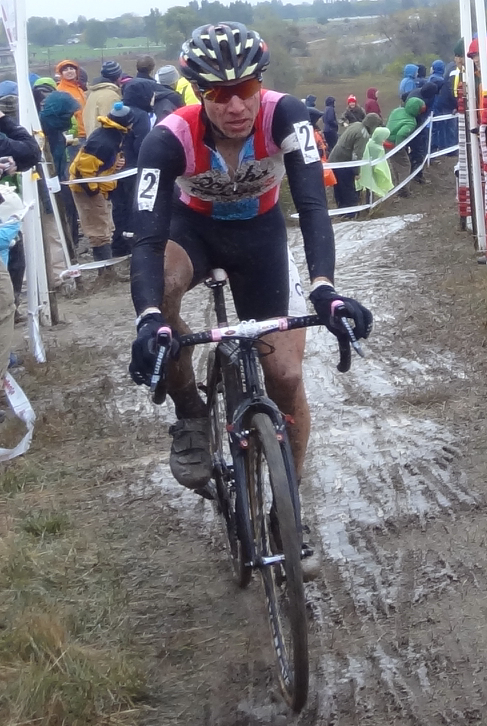 The UCI World Championship Cyclo-Cross 2012 will be held in Koksijde, Belgium, on the 28th and 29th of January. 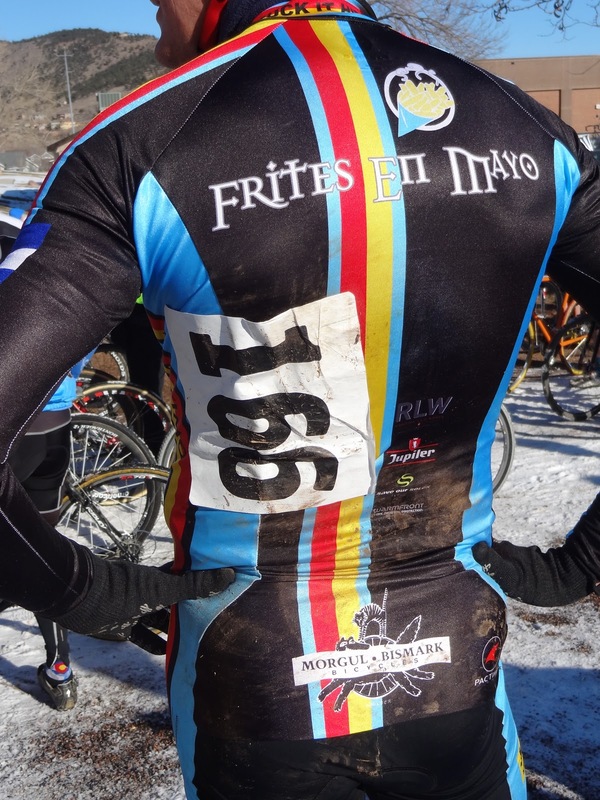 I hope the Frites en Mayo Velo Club team throws another party. 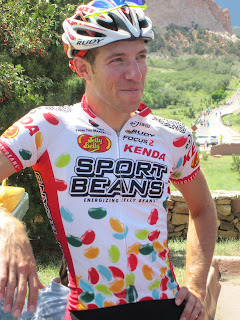 J-Pow road racing images at the USA Pro Cycling Challenge prologue at Garden of the Gods, CO.
Update 01/13/12: The Frites en Mayo Velo Club will indeed be having another party for anyone wanting to watch Worlds streaming live from Belgium - Sunday, January 29th at 7:00am (I know - it's early!) at The Three Lions in Denver, Colorado. Read more on their blog.